Ka-pow! Like a bludgeoning thump to the kisser, Kevin Conroy silenced industry rumours at the Dallas Comic-Con by confirming that he will indeed voice act for the upcoming prequel Batman: Arkham Origins. However, in a twist to the recent saga, Warner Bros. have confirmed Roger Craig Smith as Gotham’s caped crusader – which unmasks a rather pressing question: just how will Kevin Conroy feature in the studio’s upcoming game? In taking up the Bat-mantle in the series’ third instalment, Craig Smith will only bolster his already impressive résumé – which includes Ezio and Chris Redfield of Assassin’s Creed and Resident Evil. With Craig Smith and Conroy now confirmed to be working alongside one another, perhaps the game will feature some form of non-linear narrative to encompass both voice actors? Who knows, but it opens some interesting avenues for the developing studio to extrapolate. One thing we knew for a while, however, is that Mark Hamill will stay true to his word and walk away from the franchise after two outings as The Joker. In turn, this has opened up the villainous role for Troy Baker to step into – off the bat (sorry) from lending his dulcet tones to Booker DeWitt and Joel from Bioshock Infinite and The Last of Us, respectively. 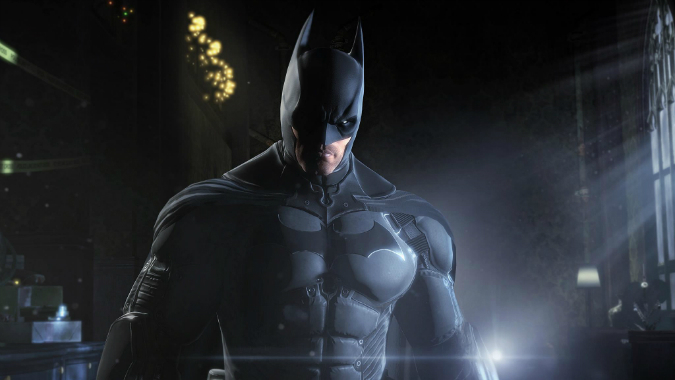 Batman: Arkham Origins also marks the first time that Rocksteady Studios have passed on the developing torch for the franchise, although the game is reportedly being built using their Unreal engine as a mechanical blueprint. Ultimately, it was an NDA (Non-Disclosure Agreement) that Conroy had signed which sparked the rumour in the first place. Mind you, at the time it seemed understandable for Warner Bros. Games in Montreal to enlist an inexperienced talent to voice the caped crusader. After all, Batman: Arkham Origins will take place before the events of the first two games – Batman: Arkham Asylum and Batman: Arkham City – and will explore Batman’s primitive years as a masked vigilante. Although at present, with Conroy, Baker and Craig Smith all poised to feature, Warner Bros.’ game will boast a prolific voice acting roster. With Conroy now slated to return in some capacity, one can’t help but wonder: is there hope for David Hayter yet?